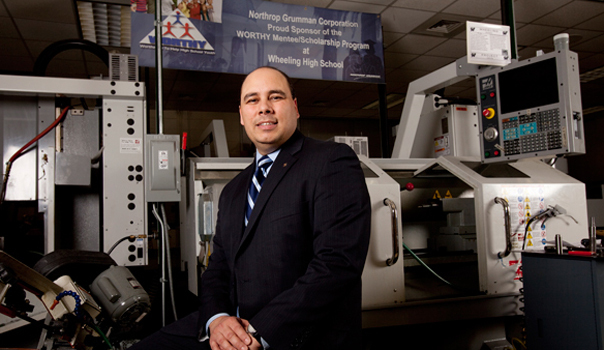 Lazaro Lopez, EdD ’10, led a STEM-focused curriculum overhaul in 2010 as the new principal of Wheeling High School. The Illinois Principals’ Association has named Aurora University alumnus Lazaro Lopez as Illinois High School Principal of the Year. The award recognizes outstanding principals who have made exemplary contributions to the profession and succeeded in providing high quality learning opportunities for students. Lopez, who earned an EdD in curriculum and instruction from AU in 2010, is the principal of Wheeling High School and founder of the first Illinois STEM high school open to all students. Lopez was sitting in a Quantitative Educational Research course that was meeting at the Illinois Mathematics and Science Academy (IMSA) in Aurora when his big idea struck. He started thinking about the importance of science, technology, engineering and mathematics (STEM) education, something strongly emphasized at AU. So, Lopez led the effort to overhaul the curriculum at Wheeling High School. In fall 2010, it was officially rededicated as a STEM school and admitted as an institutional member of the National Consortium for Specialized Secondary Schools of Mathematics, Science and Technology. Only one other school in Illinois shared that distinction at the time: IMSA. 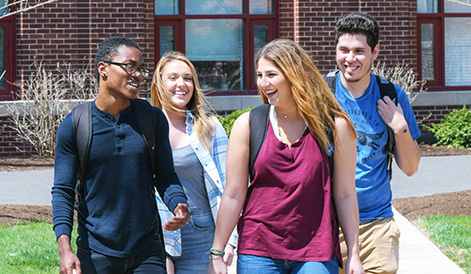 For more information on the Doctor of Education program at Aurora University, visit aurora.edu/education.